← Happy Birthday Robert Capa! Stephanie Shuman Librarian Deirdre Donohue speaks about the impact of the Moriyama collection on the ICP community. The collection has also been a catalyst for the library’s connection to patrons and collectors. 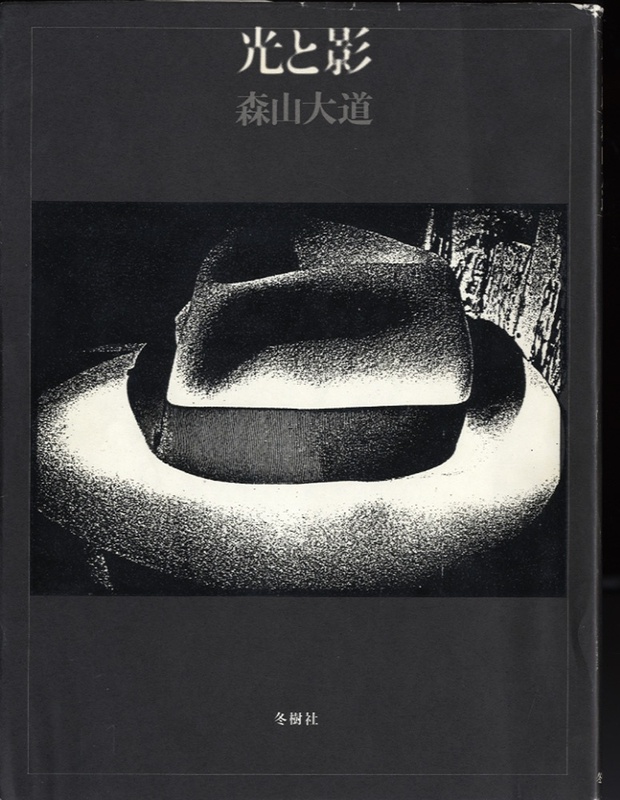 David Solo, who as a member of the Friends of the Library Committee has been instrumental in supporting the ICP Library’s interest in Asian photography, shares his impressions of Moriyama’s influence as a bookmaker. 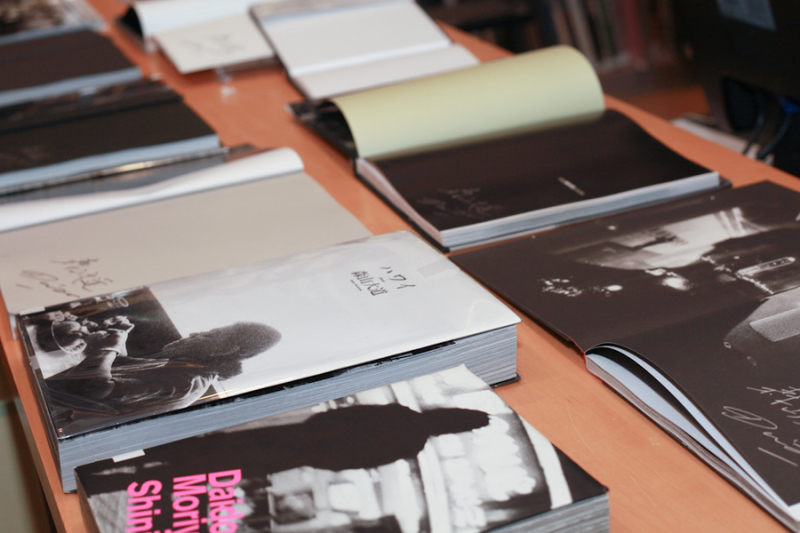 We also asked those we interviewed to tell us about their favorite Moriyama photobooks in the collection. 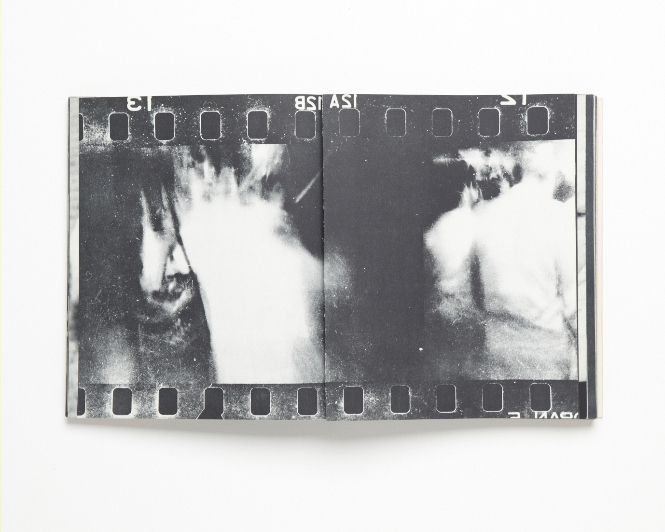 Below are comments from several of the students, staff members and library supporters at the ICP on how the books in the Daido Moriyama collection have influenced them. Here, Bill Ellis, a general studies graduate from 2013 talks about his attraction to Moriyama’s Nagisa (2010). Deirdre Donohue talks about ’71-NY (2002), a book that has resonated with a number of students and faculty members in the ICP community. Mike Fernandez, a recent photojournalism graduate is an example of a student strongly influenced by ’71-NY (2002). Dave Solo discusses his favorite: Hikari to Kage / Light and Shadow (1982, Kodansha reprint 2009). The ICP Library doesn’t have the original 1982 edition, but it does have the 2012 Kodansha reprint. 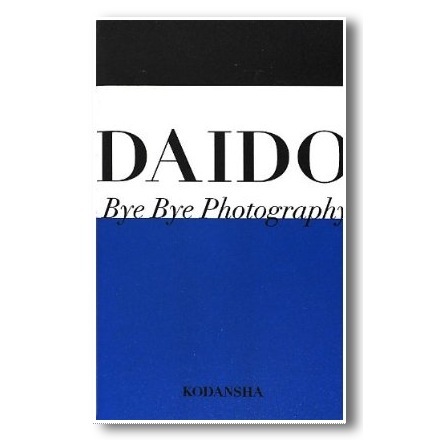 Bye-Bye Photography or Farewell Photography (1972, Powershovel reprint 2006, Kodansha reprint 2012) has left a great impression on many. Christopher Phillips discusses its importance to him as a teacher and a curator. And finally, Eneida Cardona, an Educational Assistant and artist in the administrative offices at the ICP discusses her attraction to Bye-Bye Photography (Powershovel reprint 2006). 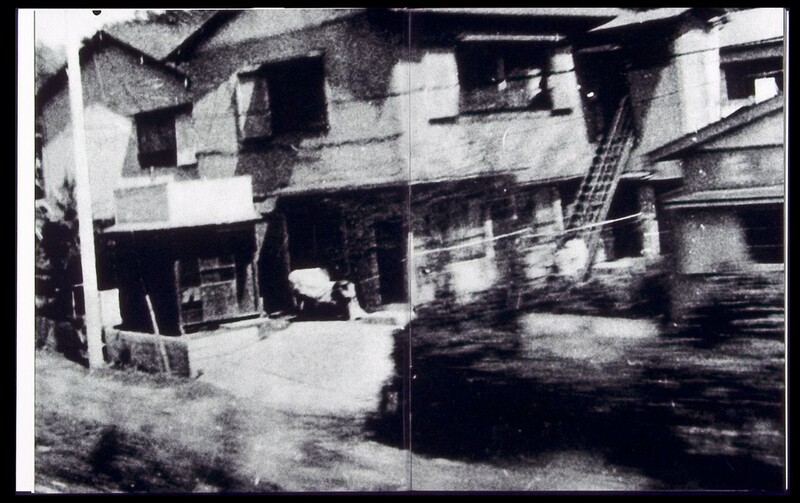 Nippon gekijō shashinchō = Japan, a photo theater / [photographs by Daidō Moriyama ; text by Shūji Terayama and Daidō Moriyama]. Tōkyō : Muromachi Shobō, 1968. 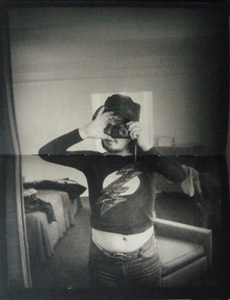 Tōkyō : Shashin Hyōron Sha, 1972. 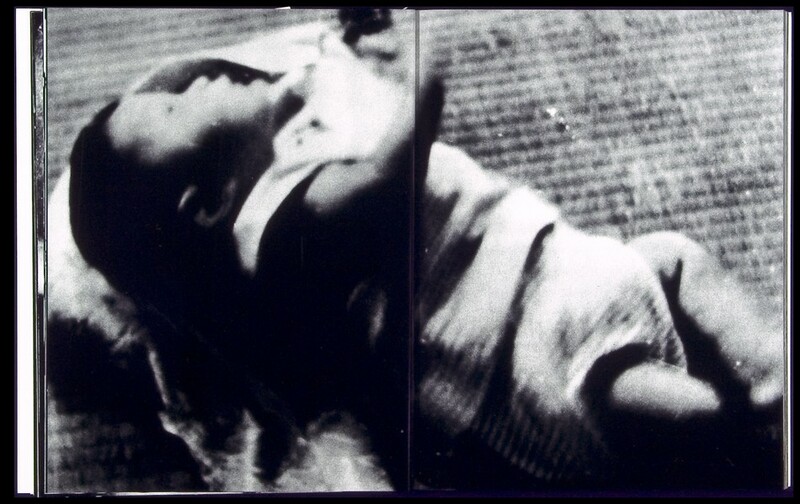 Kagero = Mayfly, Haga Shoten Document, privately published magazine (July 1972 – June 1973 Vol.5) / Daidō Moriyama. Tōkyō : Asahi sonorama, Shōwa 51, 1976. 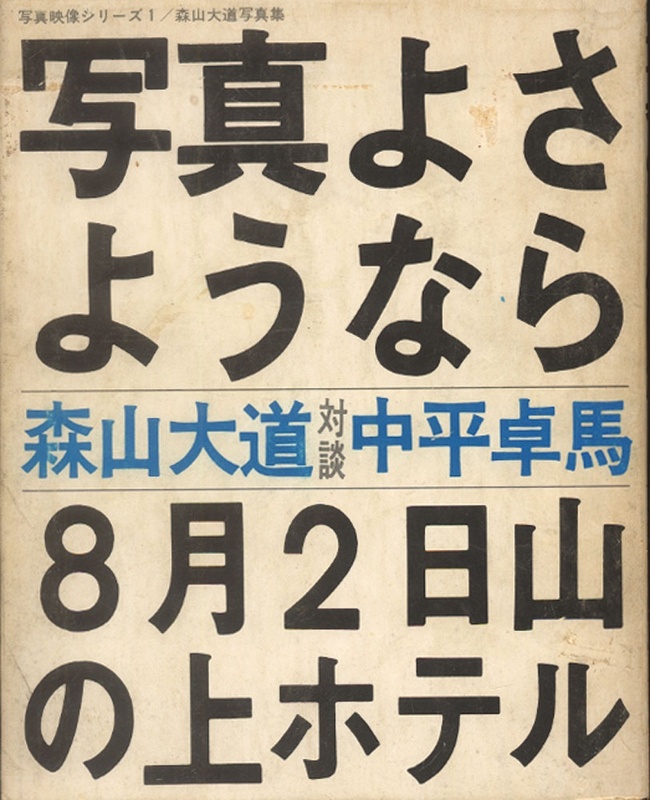 Tōkyō : Asahi Shinbunsha, 1984. Tōkyō : Kawade Shobō Shinsha, 1990. Tōkyō : Hysteric glamour, 1993. Tōkyō : Hysteric glamour, 1994. Tōkyō : Sei Kyūsha, 1995. Tōkyō : Taka Ishii Gallery, 1994. Tōkyō : Taka Ishii Gallery, 1997. Tōkyō : Synergy, Inc., 1998. San Francisco, Calif. : San Francisco Museum of Modern Art, 1999. London ; New York : Phaidon, 2001. 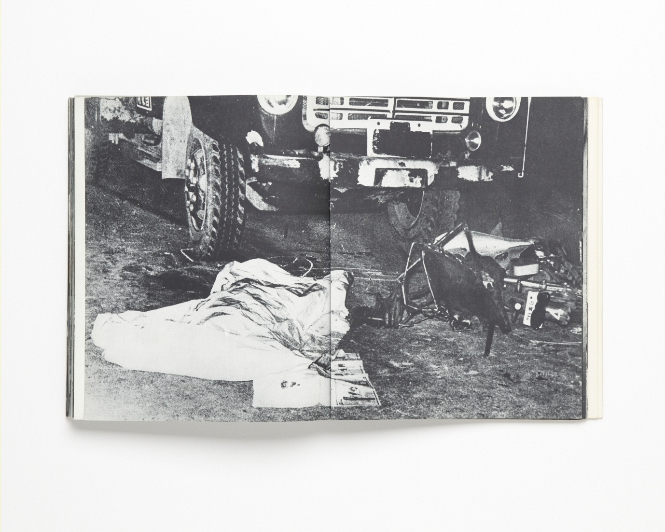 Paris : Edition 7L/Steidl, 2001. 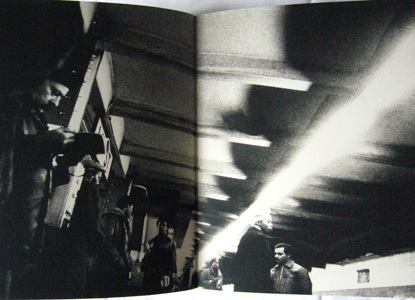 (Now DVD ,”Near Equal Daidō Moriyama” is published from B.B.B. co. ltd.). Tucson : Nazraeli press, 2002. New York : PPP Editions, 2002. Tōkyō : Daiwa Radiator Factory : Taka Ishii Gallery, 2002. Tōkyō : Daiwa Radiator Factory : 2003. Paris : Fondation Cartier pour l’art contemporain, distributed by Thames & Hudson Ltd., 2003. Amsterdam : Reflex New Art Gallery, 2003. Matsue : Shimane Art Museum, 2003. Tucson : Nazraeli press, 2004. Tōkyō : Daiwa Radiator Factory, 2004. 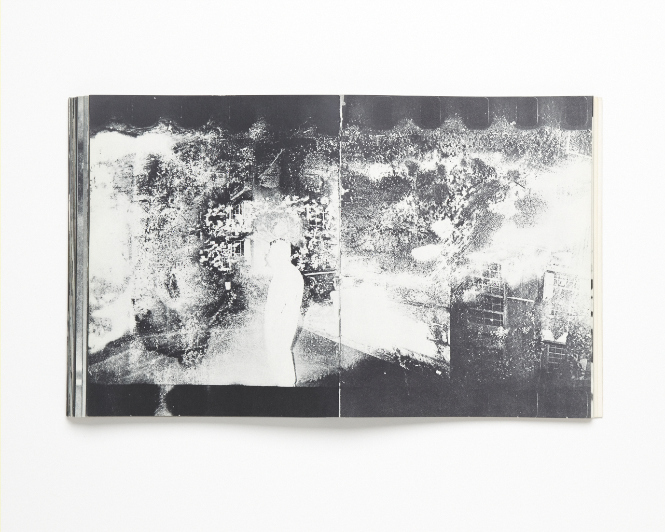 Tōkyō : Gendai Kikakushitsu ; Amsterdam, Netherlands : Idea Books [distributor], 2004. 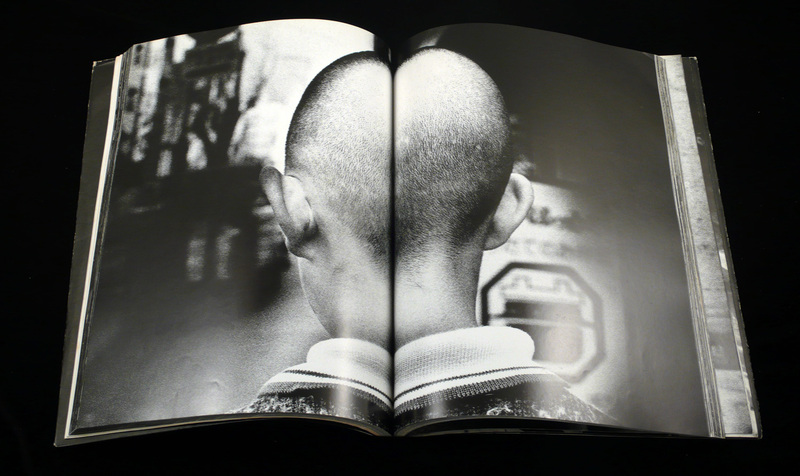 Tōkyō : Aisenshia/Moriyama Daidō Ofisharusaito, 2004. Paris : Edition Kamel Mennour, 2004. Tōkyō : Paruko Entateinmento Jigyōkyoku, 2005. Tōkyō : Kawade Shobō Shinsha, 2005. Zürich : Codax Publisher ; Ostfildern : Distributed by Hatje Cantz ; New York : 2005. Tōkyō : Pawāshoberu, Power Shovel Books, 2006. Tōkyō : Akio Nagasawa, 2006. Tōkyō : Rat Hole, 2006. 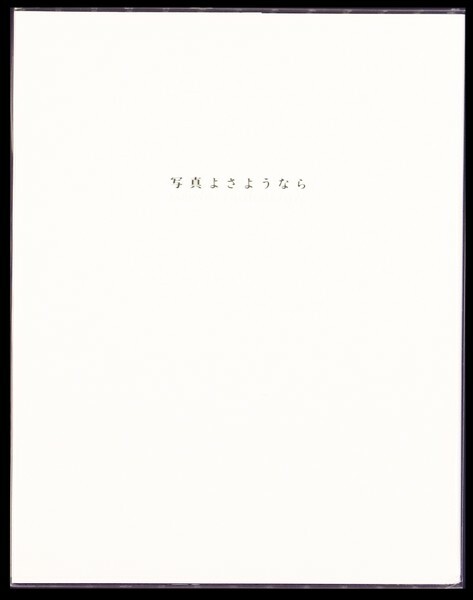 Tōkyō : Kawade Shobō Shinsha, 2001 (2006 printing). Tōkyō : Akio Nagasawa, 2007. Portland, OR : Nazraeli Press, 2007. New York, NY : JGS : [Distributed for the series: Nazraeli Press], 2007. Tōkyō : Asahi Shinbunsha, 2007. Tōkyō : Akio Nagasawa Publishing, 2007. [Granollers, Barcelona] : Editorial RM ; [Andalucía] : Junta de Andalucía, Consejería de Cultura, Centro Andaluz de Arte Contemporáneo, 2007. Tōkyō : Pawāshoberu, Power Shovel Books, 2008. New York : Johan Kugelberg and Taylor Brigode for Octopus Ltd. ; 2008. Tōkyō : Akio Nagasawa Publishing, 2008. Tōkyō : Kodansha Ltd, 2008. Tōkyō : Asahi Shinbun Shuppan, Asahi Shimbun Publications inc., 2008. Tōkyō : Taka Ishii Gallery, 2008. Tōkyō : Rat Hole Gallery, 2008. Tōkyō-to Chōfu-shi : Getsuyōsha, 2009. Tōkyō : Akio Nagasawa Publishing, 2009. Sapporo : Miyanomori Art Museum, 2009. 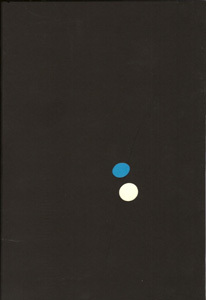 Tōkyō : Akio Nagasawa Publishing, 2010. Tōkyō : Taka Ishii Gallery, 2010. 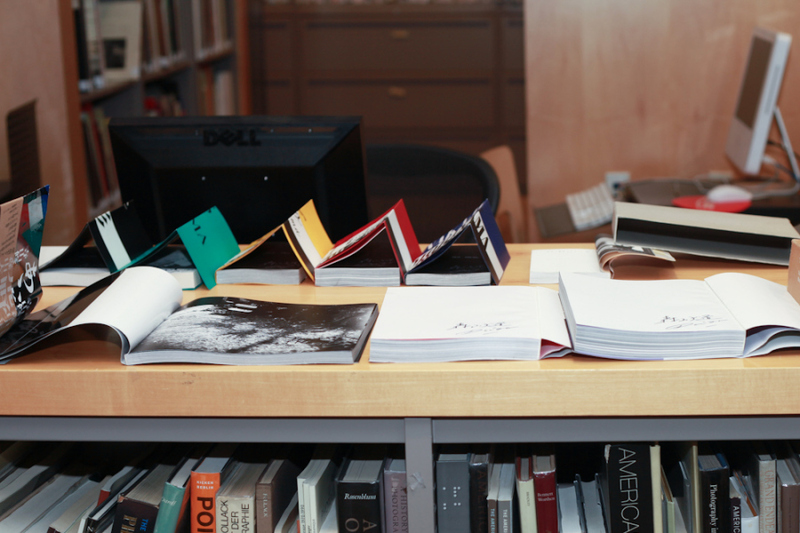 New York : Aperture Foundation, 2011. Tōkyō : Taka Ishii Gallery, 2011. Portland, Or. : Nazraeli Press, 2012. 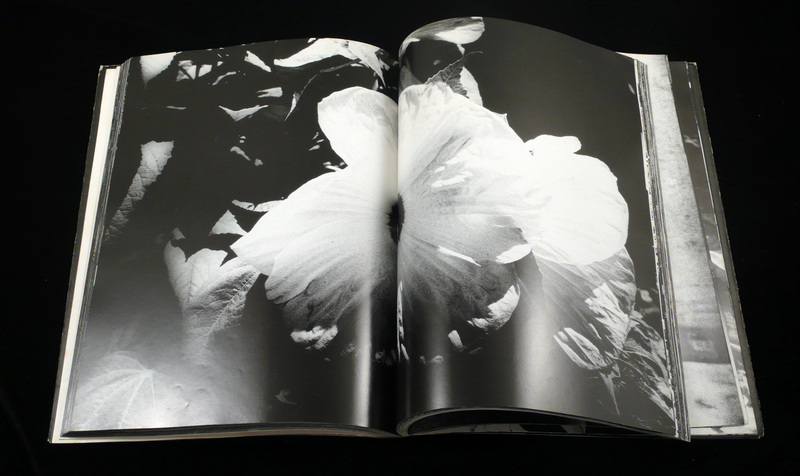 Tōkyō : Akio Nagasawa Publishing, 2011. Tōkyō : Akio Nagasawa Publishing, 2012. This entry was posted in Events, Exhibitions, Friends of the Library Committee, ICP alumni, International, New Acquisitions, Seen and heard, Unpacking the collection and tagged '71-NY, Bye-Bye Photography, Christopher Phillips, Daido, Daido Moriyama, Daido Moriyama Photobook Collection, Daido Moriyama Pop-up Library, david solo, Deirdre Donohue, Farewell Photography, Hikari to Kage, ICP, Light and Shadow, Matthew Carson, Nagisa, Russet Lederman. Bookmark the permalink. Reblogged this on mivyblog's Blog.